I have chosen Turkish folktale, ‘Stone Patience and Knife Patience’ from the book,’ Wise Women: Folk and Fairy Tales from Around the World’, Retold and Edited by Suzanne I. Barchers as it highlights how women have been conditioned by the society to live their fate passively rather than create their destinies. This folktale has many similarities with the traditional tale associated with Karva Chauth, a North Indian festival where women fast for the long life of their husband. There were a poor woman and her daughter. The poor woman used to wash clothes for other households and her daughter used to sew clothes. Once the daughter was sitting beside the window, and a little bird flew to her and said, ‘what will be your fate’? The bird came to her on a number of occasions and says the same thing. Both mother and daughter remain continuously worried and terrified as they could not understand the meaning of the same. The question of fate and destiny is a very loaded question, but it does point out to the helplessness of human beings especially women. The mother sends her daughter on a little outing to a nearby farm to distract her mind. The daughter fell into a well and sees a door inside which leads her to a beautiful palace full of gold, silver, and emeralds. She fanned the prince for forty days and prayed continuously for him. On the morning of his last day, she saw a servant girl and called her inside. She asked the servant girl to fan the prince by the time she takes a bath and gets ready herself for the Prince. Meanwhile, the Prince woke up and called servant girl his wife. 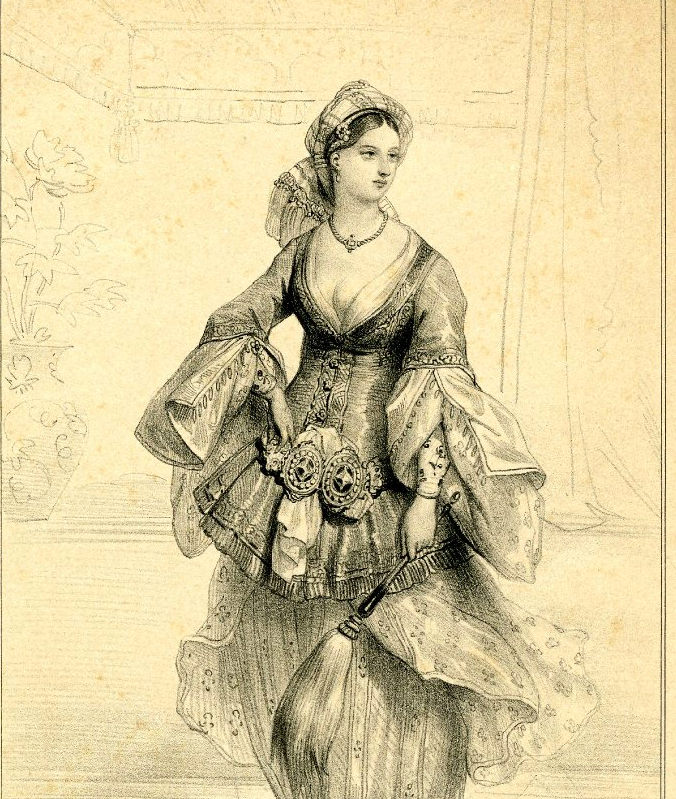 The servant girl scolded the young girl for wearing beautiful clothes and asked her to work in the kitchen. The Prince wanted to give all members of his household gifts. The queen (previously servant) wanted a garment for herself which was not sewn by the needle and not cut by the scissors. Surprisingly, on the day of Karvachauth women are not allowed to touch needle and scissors in India. The servant girl (actual queen) wanted stone of patience in yellow color and a knife of patience with a brown handle. With great difficulty, the prince obtained the gifts and gave them to his bride and servant. But he was very curious as to what will the servant do with the strange gifts. As learning the skill of sharpening the knives requires lots of patience and blood. Similarly, perseverance and sacrifice is the essential virtue of an ideal woman. She is not supposed to question the rules and systems, if injustice is meted out to her. Though there are many versions of the story behind Karvachauth, I will share the Punjabi version of the story which I grew up listening. Once there was a beautiful princess, Veeravati. After marriage, she visited the house of her brothers where her seven sisters-in-law were fasting for the well being of their husband. As she was supposed to fast from sunrise to moonrise, she became very weak. Her seven brothers could not see their only sister hungry and decide to break her fast by tricking her into believing that the moon has risen. Surprisingly, in the story, the brothers have no objection to their wives going hungry, but their heart aches when their sister suffers hunger pangs. Doesn’t the unfair patriarchal society has a strange way of functioning? When Veeravati comes back to the king’s place, she finds her husband sick and unconscious. Goddess Parvati tells her that his body is pierced with needles and whoever would take out the needles from his body, will be considered his wife. Every day, Veeravati would religiously take out needles from his body. When the last needle is left, she leaves the King in the care of her servant girl and goes out to get ready. The servant girl seizes the opportunity and takes out the last needle from the body of the King. The King regained consciousness and mistook the servant girl as Queen and Veeravati as the servant. Veeravati was devoted to her husband and continued to live in his house as his servant. Once the king was leaving for another city, and he asked Queen (actual servant girl) and Veeravati (his actual Queen) if they wanted something for themselves. The fake Queen requested sarees and jewelry, but Veeravati demanded a pair of identical dolls. Looking at the dolls, Veeravati would sing a song, “Rani si O Goli ho gayi, Goli si O Rani ho gayi” (the Queen has turned into a servant girl, and the servant girl has turned into a Queen). The king became curious and asked Veeravati, the meaning of the song. Veeravati narrated the entire story, and the King accepted Veeravati as his wife. As we can see, the message behind both the tales is the dependence of woman’s destiny and fate on the man. The man could be her husband, father or brother. She has no independent existence of her own. They wait for the wheel of time to move in their favor. Both Hindu Vedas and Tantra, make multiple references to the exalted status of woman and reverence to the feminine. Anushasan Parv in Mahabharata, Bhishma tells Yudhistra that daughter is equal to son as per scriptures. Women are freely found questioning and debating in various Hindu scriptures. Goddess Parvati discusses with Shiva in Skanda Purana. The legend says that in the verbal debate between Mandana Mishra and Guru Adi Shankara, the learned wife of Mandana Mishra becomes the judge of the contest. Today, thousands and thousands of women continue to surrender to the customs that are rooted in misogyny and steeped in patriarchy meekly. We don’t have Draupadi or Savitri now, who had a mind of their own and could argue their case in front of their elders or to Yama (God of Death). And certainly, it is a great setback for women who enjoyed exceptionally high status intellectually, socially, politically and economically in ancient India. So true! Nice refined article! I second that women enjoyed equal rights in the past. But society was also like that, supportive. Now, half of the society, not only men, but fellow women also discourages a woman’s freedom as you portray! I feel that first, the problem that lies in society should be removed before women embark into freedom, for, unless the path is clear, thorns keep pricking and the path becomes blood red! Yeah, its patriarchy that influences both men and women. Both can not develop their real potential. Bollywood and TV serials have also played their role to wrap these regressive practices into the celebration of the helplessness of women. And later all blame is put on our religion. But no one looks into how and why such archaic practices came into being. Lets see, realising this itself is a great step of this generation.